Bought the car with the head off from someone (seemed to be a mechanic) who bought it himself with a blown head gasket. They ended up getting a pick up truck that doesn’t work so they put the geo on sale as they seemed to have their attention on fixing other cars. They told me the previous owner had two Geo Trackers, one used heavily and the other in good cosmetic condition. Supposedly he swapped the engine from the one used heavily, as it had fewer miles on it, into the cosmetically good car. The odometer on my car currently reads around 270,000 miles. It had been sitting with its head off outside for 3-4 weeks. Block was taped decently, but a little rust formed where the tape contacted the head, even the aluminum had a bit of rust on it. Took the rust off with some damp clothes soaked in evaporust. I got the head milled at a place that specializes in cylinder heads. It was perfect before I slid it around trying to get it to drop on the alignment pins. (Bad idea). Second try I had a helper and that prevented more scratches. The pan had a gasket on it when I took it off so I put it back with a gasket and some RTV sealant between gasket and pan. The CKP sensor is perfectly flush with the metal hole it sticks through. The cooling hoses feel good, but I’m still replacing most of them. Some of the other hoses are very stiff, but Im keeping them for now, because I want to make sure car runs before pouring more money into it. Oil poured in after putting oil pan on. Oil pressure starts rising after 5ish seconds ( takes a bit of time ). Gets up to 30-40psi max. After reaching oil pressure and stopping engine, there’s squishing sounds coming from (I think the head). are you at 15,000 elevation? where are you located, ? what city,? or what is your altitude.? 105, is pathetic. to the extreme, did you have all spark plugs removed, ? and throttle held open some (1/2 or more, so the engine can breath air?) at the test? step 8? 185 is par (normal) for any 16v. 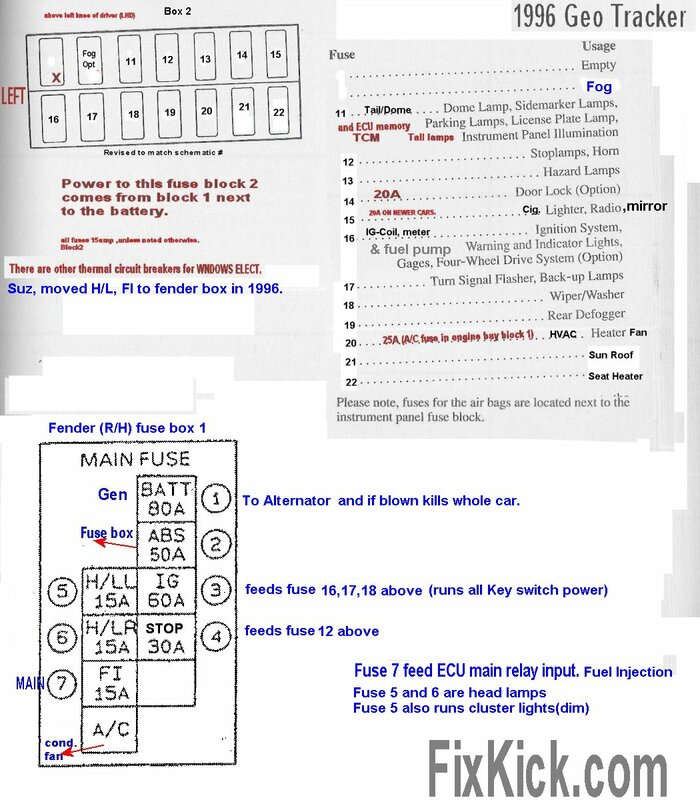 The 16v is 195 PSI as Seen in FSM chapter 6-6 (not 6A1) , (at sea level spec) both my G16b's did 185 cold and more hot/warm engine. lash needs to set correctly too, not zero clearance lash at TDC firing,! or the valves burn to a crisp. ok 40psi OIL is kinda ok, but does the cam bearing flow oil, that is what means, top end oiling, all oil starts there. the tests is just to make sure on startup the cam does not seize first thing. (then valves running dry, next) that 40 PSI implies the mains and rod bearings are getting lubrication. good. the 96 cam cog wheel has 2 false marks. suzuki uses this cog wheel PART on 2 of their engines, and only the E marks work on the G16b. the first false mark is the keyway, as see here correctly on the E key slot. then the 2nd false mark is the I mark at 4pm seen below. this is the correct timing, for the belt. crank at 12pm marks , crank cog 12pm, and its marks aligned. per my 16v belt page. then the cam cog wheel as see above. wot, wide open throttle (no not perfectly wot , Just block the throttle open some.) let the engine pump air, or it will fail the test. 185PSI is spec at sealevel. 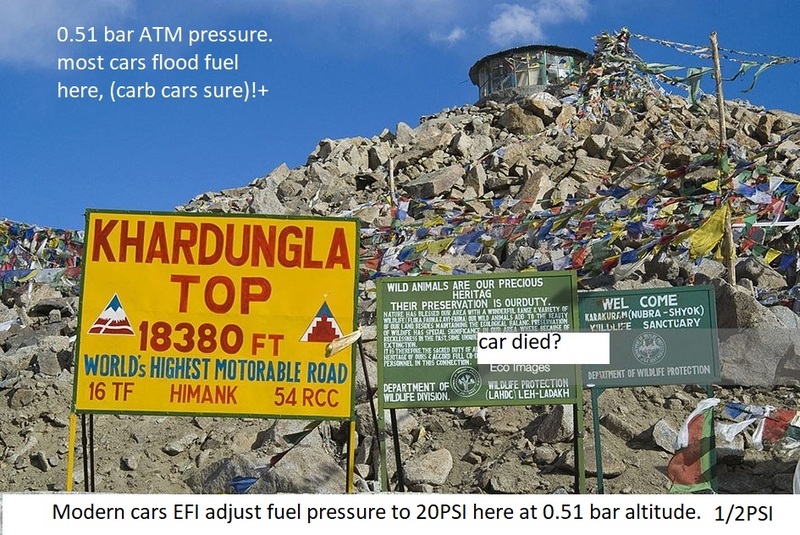 126psi at 10,000 feet altitude, see that number, that is why I asked your location ( LA or up in Denver?) 2 different readings 2 locations, and key to diagnosing any car carefully. I’ve read the articles already regarding the cog and such. The only thing I think I could have messed up is maybe I slipped a tooth when putting the timing belt on. Pretty sure I did it perfectly, but maybe I made an oops. I however did not mess with the main crankshaft Bolt. I’ve left it on. When I did have the head off, the piston was all the way at the top when crankshaft cog at marking. I could move the cog slightly forward and slightly behind the alignment mark without moving the piston down at TDC. All spark plugs were removed. Battery charged. I HAVE THE INTAKE AND EXHAUST REMOVED. Just the engine block + head. So free air flow in and out. .005 feeler slides easily during lash set, 0.007 impossible on most cams. Intake and exhaust are supposed to have same valve lash right? I’ve read the articles already regarding the cog and such. The only thing I think I could have messed up is maybe I slipped a tooth when putting the timing belt on. Pretty sure I did it perfectly, but maybe I made an oops. When I did have the head off, the piston was all the way at the top when crankshaft cog at marking. 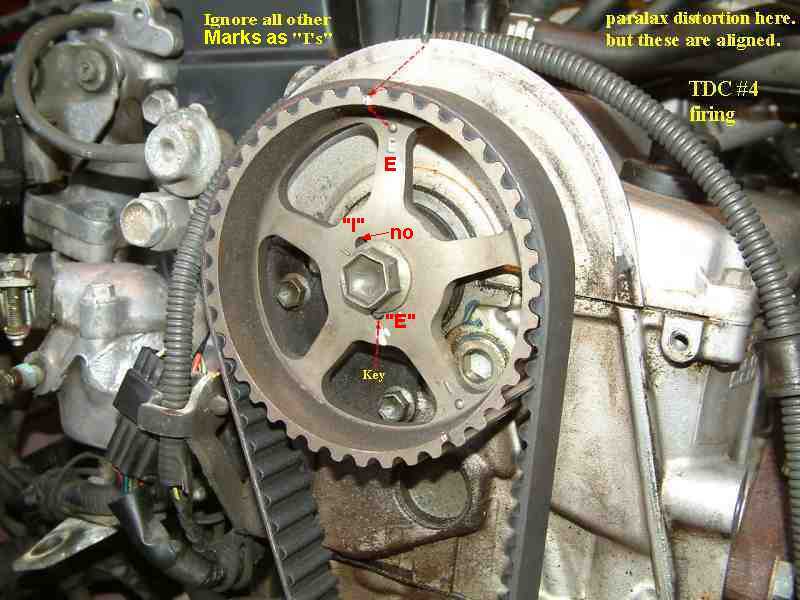 I could move the cog slightly forward and slightly behind the alignment mark without moving the piston down at TDC. All spark plugs were removed. Battery charged. .005 feeler slides easily during lash set, 0.007 impossible on most cams. (go no go for .006' sure perfect) each at TDC, firing. the new spec( retroactive all years 89-98) is 94ft/bls, the TSB is even on my tbelt page to read, there real TSB. then the key is wrecked. if lash is good, the cam is timed wrong, why or how is the only question. or the gauge is busted. ? so if the starter spun fast then 100PSI is wrong. 300-RPM is possible with just starter. if the rings or valves are bad it fails. too sure. Inspected keyway, it’s all good. Compression still bad on most cylinders, but still above 100psi. Got 160psi on a cylinder after pouring more oil down it. The other one I tested didn’t seem to improve. I’m just going to put everything together and see how it runs. The compression might go up after some run time. Could rebuild the engine, but I don’t have the energy for that this time of the year. Maybe I get it running and if there’s not enough power, I do a re-ring in the summer. Replaced seal as the one on it was damaged. It did not go flush with the metal, which I think is just a design thing. It’s even though.